Learn the business of health care at Rider – and prepare for a career in America's fastest growing sector. There is no field more exciting today than health care management — the intersection of business and medicine. Health care is driving the U.S. economy and creating opportunities for a rewarding business career where you can make a difference. Earn a well-rounded business degree from Rider’s distinguished AACSB-accredited College of Business Administration. Hone your business skills plus focus on health care management studies. Explore your role in the complex issues facing health care. Benefit from ongoing advice and support from our connected and experienced faculty. 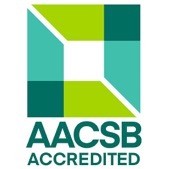 Rider’s BSBA in Health Care Management is a major within the University’s respected AACSB-accredited College of Business Administration. The program was developed with input from health care executives in hospitals, biotech, medical device and pharmaceutical companies, and health insurance firms. Our curriculum provides a core education in business combined with critical topics in health care management. The program is designed to provide students with an understanding of both the business and health fields, including a deeper grasp of the legal, ethical, economic, social and managerial issues related to health care. Our faculty includes professors with expertise in the economics, finance, information systems, law and marketing. NOTE: A minor in Health Care Administration is available to Rider students in any major, including business and non-business majors in such areas as the sciences and social sciences. The curriculum provides students with a multi-dimensional view of the health care field. According to the Bureau of Labor Statistics Occupational Outlook Handbook, the health care field is expected to grow rapidly as baby boomers age and people remain active later in life. Employment of medical and health services managers is project to grow by 23 percent through 2022 — faster than the average for all occupations. As a result, there has never been a greater need for decisive health care leaders who can understand and adapt to today’s complex and evolving health care system. It’s a dynamic industry that’s driving the demand for health care professionals who have the skills and knowledge needed to plan, organize and supervise the delivery of innovative and quality care. Health care management is a dynamic, diverse and in-demand field. Throughout the industry — from hospitals to pharmaceutical manufacturers and health insurance providers, to medical device firms and biotech and research enterprises — there is growing need for health care managers with the strong business skills needed to ensure smooth operations. Additionally, Drs. Corman and Noonan are research associates in health economics at the National Bureau of Economic Research (NBER), the nation's leading nonprofit economic research organization. Recognized as leading scholars in their fields, NBER associates concentrate on four types of empirical research: developing new statistical measurements, estimating quantitative models of economic behavior, assessing the economic effects of public policies, and projecting the effects of alternative policy proposals. Health care marketing course where students design a marketing plan. Rider’s strategic location in the New York-Philadelphia metropolitan area offers students exceptional access to health care management internship opportunities with leading health care providers, manufacturers, government agencies, advocacy groups, and more. Chief Operating Officer, Theradex Systems, Inc.
Executive Director, Merck & Co.